It's been a while since I played with the Moxie Fab World Tuesday Trigger, but this one is so interesting and beautiful! It took me a bit of time to figure out how I was going to achieve a similar look and feel. I noticed that the rectangles in the inspiration don't appear to be one solid colour. So I used my Caribbean and Desert Heat Kaleidecolor pads to achieve that kind of blended look. When I stamped my Stampin' Up Celebrate directly on the coloured rectangles, I found it a bit busy and hard to read, so I stamped the sentiment again on white and cut a narrow strip out of the white and popped it up - it's kind of fun that the whole word isn't on white - it adds some texture and depending on where you are when you're looking at it, the different parts letters line up slightly differently. ETA - this card was selected as a Target! Fantastic take on the trigger, Ardyth! LOVE how you added the pop-up portion of the sentiment - brilliant effect! I love how you cut out the edges of the sentiment. Great take on the Trigger Ardyth. I love this card Ardyth! Oh, I love that way that looks! terrific take on the TT -love the color transitions and perfect sentiment! Oooh, I love the gradient stripes! Must hunt for my Kaleidecolor pads. Great take on the Trigger! This is awesome! I love how you've fixed your "mistake" with the sentiment. A beautiful job of CASEing and artistic design. Inspiration is everywhere. This is wonderful and quite striking. Great take on the inspiration photo! Wonderful card Ardyth! Oh yes, for sure this is THE winner! I always envy your genius, but more than that I admire your absolute precision/patience it must take to carry off so many of your designs, especially the ones using your Kaleidoscope pads. Love your take on the Trigger, Ardyth! Awesome colors, and I love the placement of your sentiment...very cool card! Ah, you played after all - gorgeous result, looks really cool! oh I totally recognized this as a Tuesday Trigger before I read your commentary. What a great interpretation!! I was hoping you'd do this one ... it's very graphic and right up your alley. You're right, the rectangles aren't a solid color. Totally makes the design sing! Congrats on your Trigger win, Ardyth! Ha! You might have a laugh reading my post about my TT card... leave it to you to figure out how to get those transitioning colors. Fabulous job and congrats on your TT win. This is outstanding, Ardyth! Love it! Congrats on the TT shout out! 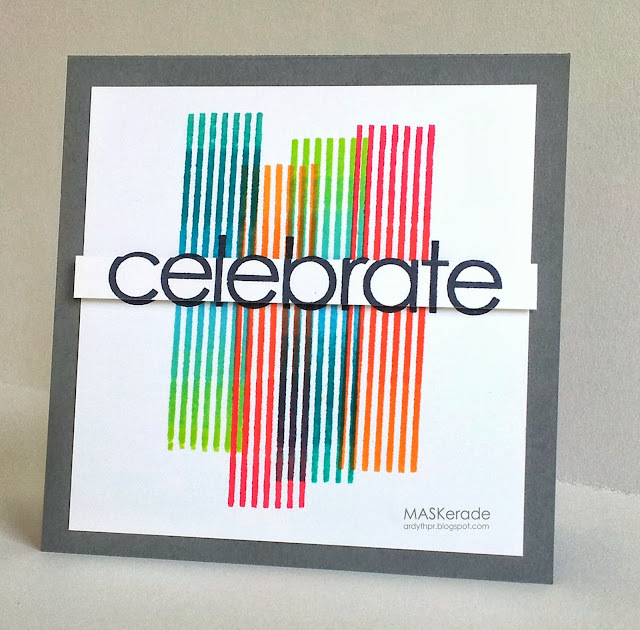 Just popping by to congratulate you on your Moxie Fab shout out! Congrats on your TT win. This is fantastic! Lovely! So striking and well done! Congrats on your win! Ardyth, your card is striking and perfectly executed! Congrats on your TT win! Congratulations for being MOXIE FAB! Isn't this just an absolutely amazing inspiration photo...just wish I had time to play along! I love how you extended the sentiment into the grey! Okay, so I'm so far behind with my comments that the next Tuesday Trigger is already posted! AND I see that you are on Cath's list of favorites! Well deserved Ardyth. A huge congrats dear friend! Congrats on nailing the Tuesday Trigger. So simply marvelous, Ardyth! Congratulations too! This card is fantastic! Congrats on your win!